Proper anthurium care is easy; for the most part, you only need to address two basic factors to keep your anthurium plants healthy and you only need to avoid making three deadly mistakes to ensure that they stay alive. 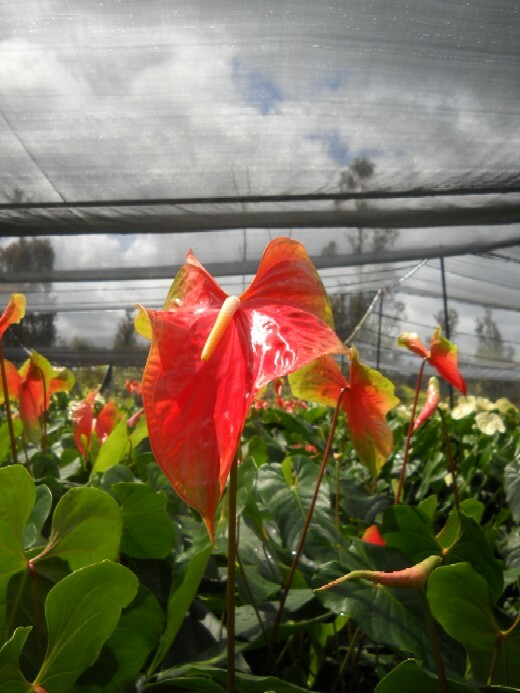 The two factors that are vital for ensuring healthy anthurium plants are: the location where your keep your plant and the way in which you water your plant. Once you have addressed these critical factors, all you have to do is avoid making the three deadly mistakes that I cover below and you will be well on your way to ensuring that your anthurium plants remain healthy. If you want to keep your anthurium flowers healthy, you have to keep them in the right place. Anthuriums come from South American rainforests and can be harmed if they are not kept in conditions that resemble their ancestral home. In the rain forest, anthuriums generally encounter temperatures between 70 and 90 degrees and humidity between 80 and 100%, plus they either live on the forest floor or grow on trees and so they are shaded from direct sunlight. So, first, you have to be sure that your plant is never put in a location that freezes. Frost will kill your plant. Temperatures below 55 degrees are bad for your plant and it should ideally be kept at temperatures above 70 degrees. In addition, your plant should not be allowed to get too hot. Temperatures above 90 degrees are too hot and can also harm your plant. Second, you have to try to ensure that your plant receives the proper amount of humidity. Humidity between 80 and 100% is ideal. But a little lower is fine as long as you water your plant regularly. Third, you must make sure that your plant is not exposed to direct sunlight. Direct sunshine can harm its leaves and flowers. However, you do want it to receive a fair amount of light, so that it can grow well. So, what is the best way to achieve these two conditions? The first thing you can do to ensure that your plant is kept at the proper temperature is to keep it indoors. Assuming that you keep your house between 70 to 90 degrees, your plant will find the temperature agreeable. The second thing you can do give your plant the proper humidity is keep it in the bathroom. When you take a hot shower, you will also be providing plenty of humidity for it. If you don’t want to keep your plant there and you live in a dry climate, consider keeping your plant in a room with a humidifier. Finally, keep it near a window that receives a lot of light, but make sure that it does not receive direct sunshine. If the edges of its leaves are becoming bleached or are turning brown, move it a little further away from the window to prevent them from being burnt by excessive sunlight. 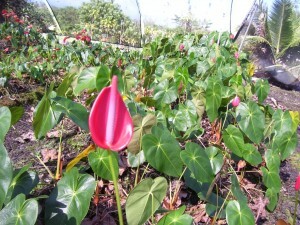 Anthuriums are used to growing in tropical rain forests. The key word in the previous sentence is rain. They are used to receiving water on a daily basis. However, they are not accustomed to standing water. They typically grow on trees. So what happens is rain falls on them and it immediately drips off, it does not pool around their roots. This allows their roots to receive moisture, while also receiving exposure to air. The exposure to air is critical. This prevents the growth of anaerobic organisms that can harm them. So the key when it comes to watering anthuriums is to water them regularly, while at the same time allowing their roots to receive air. We can accomplish this by using a good potting soil. The ideal potting soil is light, fluffy and has to drain well. You can use just about anything as long as it meets this last criteria. Everything from sand, perlite, bark, volcanic cinder and gravel can be used to help meet this requirement. Once you have the proper potting soil nailed down. You have to make sure that the water can drain completely out of the pot. If you have your pot in a tray, you have to make sure that you empty the tray after watering. Do not overlook the importance of adequate drainage. The deadliest mistake of all is forgetting to water your plants, but arguably the second deadliest mistake is allowing their root system to remain soaked in water. When their roots are left in water, this prevents oxygen from reaching their roots and when this happens anaerobic microbes and fungal growth will occur and cause root rot. Left unchecked root rot will kill your plants. Finally, we get to the actual watering of your plant. The general rule is water it everyday. As long as your pot drains completely after each watering, it is almost impossible to over-water your plant. If you have the time and live in an area with low humidity, you should also mist the leaves of your plant. Just spritz them with water twice a day. 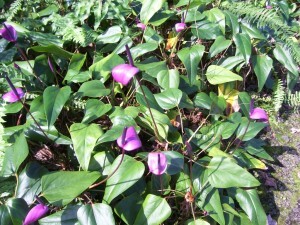 Anthuriums need to be fertilized periodically, but you have to be careful not to over-fertilize them. This can be a deadly mistake. When fertilizing your plants, always err on the side of under-fertilizing them. If you give them too little fertilizer, the worse that will happen is that they will grow slower and produce fewer flowers, and if you see this happening you can easily fix this by giving them a little more fertilizer. But if you give them too much fertilizer they can die. Aim to fertilize them once or twice per year depending on how long the growing season in your region lasts. Use a fertilizer with a ratio of 5-10-5 and apply roughly a quarter of what the label recommends. This ratio is ideal for ensuring a good balance between foliage and flowers. If you were to use a fertilizer with high nitrogen like, 15-10-5, you will get a bunch of leaves but fewer flowers. And when choosing a fertilizer, go for a slow release variety. This way you only have to fertilizer your plants once or twice per year, rather than once a week if you were to use a liquid fertilizer. 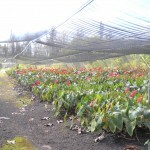 In conclusion, anthurium care is simple. Just put your plants in the proper location and water them properly. Avoid the three deadly mistakes of: forgetting to water them, over-fertilizing them and allowing water to collect around their root system; and you will have no problem keeping your anthurium plants in great shape. Anthurium plants are vulnerable to a number of diseases, pests and poor care practices, but overall they are really easy plants to care for. 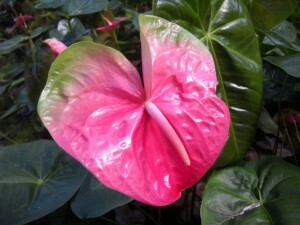 In this article I am going to give you guidelines that will help you to keep your anthurium plant in excellent shape. And of course I am also going to tell you the quickest way to kill an anthurium. This one common mistake is responsible for killing more anthurium plants than all of the other mistakes combined. The two most important components of anthurium care is choosing a good location to keep your plant and watering it properly. When it comes to location, temperature, light levels and humidity are all very important aspects. With watering, both too much and too little water can cause major problems. Everything else, including fertilizing, pruning, re-potting and even pest management is secondary. 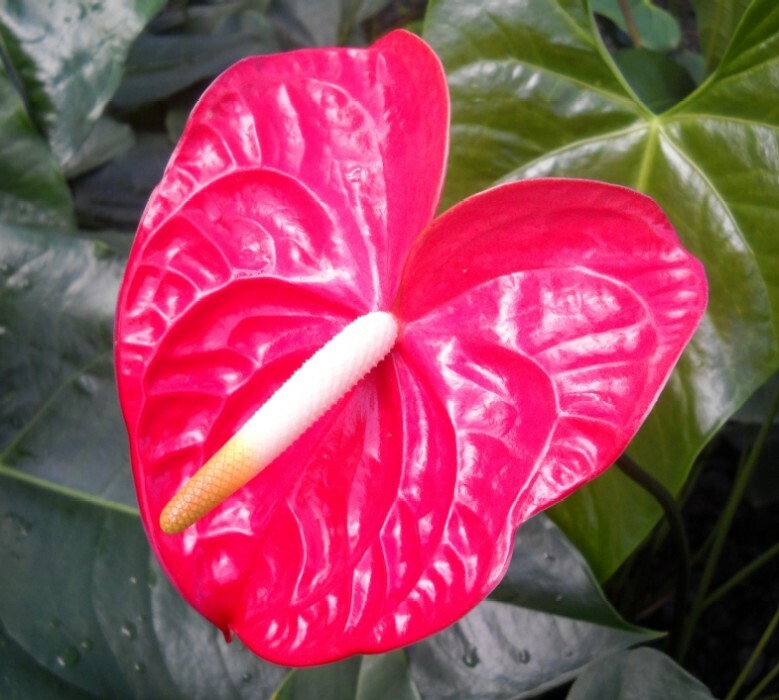 To learn more about these two critical items, please review my article on anthurium care. Light levels are critical to anthurium plants. Too much light and your plants will burn. Too little light and your plants will be stunted. The key is to strike a good balance between these two extremes. In general, you should never put your anthurium in a location that receives strong, direct sunlight. 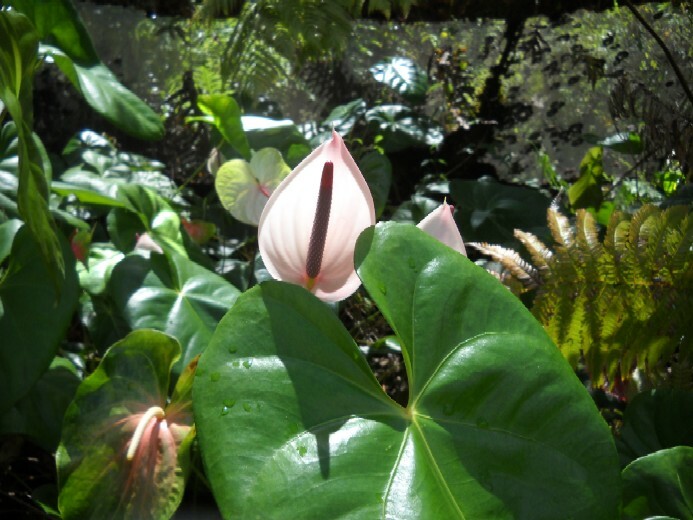 The anthurium is a rain forest dwelling plant and requires weaker, filtered sunlight. You can accomplish this by keeping your plant near a window, but out of direct sunlight or you can put a thin, gauzy curtain over your window to block out a portion of the sun’s rays. When it comes to pests and diseases, you will be pleased to know that if you are only raising a few indoor plants, the majority of the pests and diseases that plague anthurium plants that are grown in a commercial setting will be of no major consequence to you. Thrips, mites, nematodes, white flies and even the deadly Xanthomonas blight should be of little concern to you. The main disease that you have to watch out for is root rot. This is caused by a fungus that thrives in moist, warm environments. Fortunately, it is easy to prevent this disease. All you have to do is pay attention to how you water your plant. Always make sure that all excess water is allowed to drain away from the roots of your plant and make sure that you wait for the roots to dry slightly before watering again. Assuming you are using a porous potting soil, you can water daily and still meet these two conditions. You can find more detailed information in my article on anthurium pests. And finally the biggest mistake you can make with an anthurium plant is very simple and easy to do. I wish that this wasn’t the case, but this one mistake is responsible for killing more anthurium plants than all the other causes combined. And it is forgetting to water your anthurium plant. In the rain forest, these plants receive water on a daily basis. Obviously rain doesn’t fall in your home, so it is up to you to water them. I believe that the best way to remember to water them is to keep them in a location where you see them everyday and just make it a habit to water them everyday at the same time of the day. And remember, if you are watering them on a daily schedule; make sure you have them planted in a potting mix that drains well to avoid root rot. This is a brief video on how to care for a potted anthurium plants. 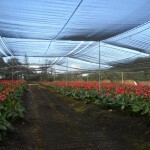 It covers potting, watering and sunlight requirements. 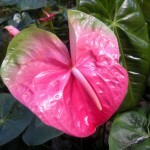 In this post, I’m going to first discuss anthurium flowers and plants, and then I am going to give you tips on buying them. Sometimes, you should reconsider if it is good to buy them, and I am going to discuss when this might be the case. Less than two hundred years ago, anthurium flowers looked completely different than the way they look today. They were much plainer looking flowers that grew untouched by man in the Amazonian rain forests of South America. They were introduced to Hawaii in the late 1800s and it wasn’t until the 1940s that they started looking like the flowers that we see today. The 1940s were when enthusiasts learned how to selectively breed anthuriums to produce the dazzling varieties of flowers that we have today. 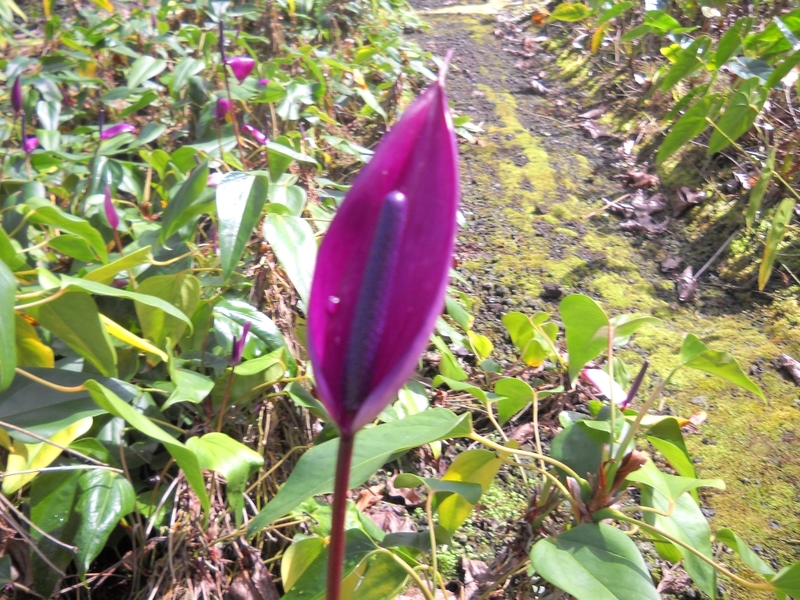 Out of this rather plain looking plant three major flower varieties have been developed: standard, obake and tulip. If you have seen an anthurium, chances are, you have seen a standard variety. 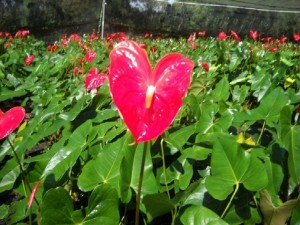 These types of anthuriums usually come in solid colors and are heart shaped. Obake anthuriums are larger than standard anthuriums and they usually come in an elongated heart shape and generally have two or more colors. While tulip anthuriums are shaped like tulips and come in pleasing colors like white, pink and purple. From the 1950s onward the industry has grown a great deal in Hawaii and cultivation has spread to the Netherlands, Mauritius and even the ancestral home of these plants, South America. 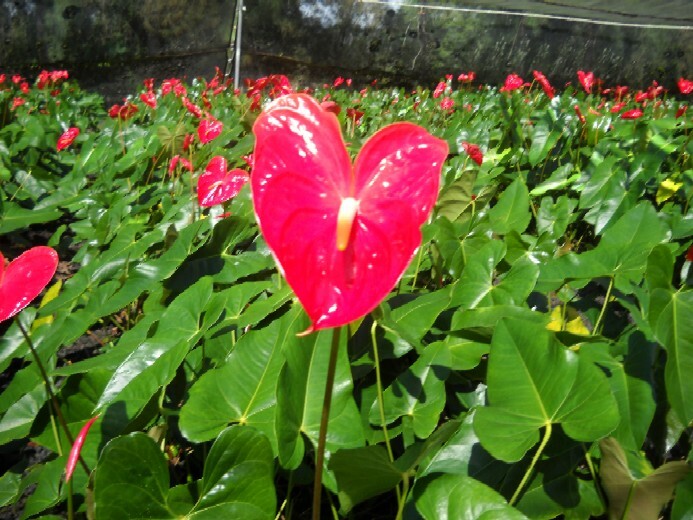 Anthurium plants are often grown for their foliage, their flowers and also to be sold as potted plants. 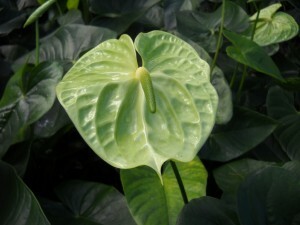 Foliage anthuriums generally produce large, sturdy leaves. Most of these leaves are dark green and some even have striking white stripes. In general, anthuriums that are grown for cut flowers almost exclusively come from the Andreanum species or hybrids of this species as they seem to produce the finest flowers. 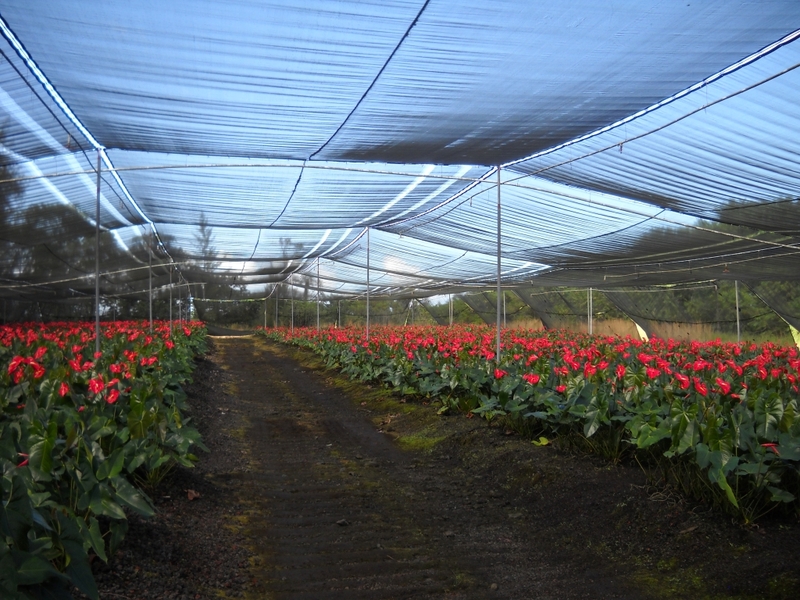 Both obake and standard flower varieties are from Andreanum species, while tulip species are generally Andreacola cultivars produced by hybridizing Andreanum with Amnicola. Usually Scherzerianum, Amnicola or Andreacola species make the best potted plants. They are typically smaller in size and easier to care for. The only downside is that they offer less variety in the colors and sizes of flowers that are produced. Andreanum can be grown as a potted plant, but they are slightly more difficult to raise. When ordering anthuriums, there are a few things that you should know. The most important thing is to know exactly what you are ordering. The biggest reason for disappointment, when ordering these flowers, is not getting what you are expecting. Nearly all websites will show you a picture of a fully assembled arrangement. But unless you are specifically ordering a fully assembled arrangement, you will get loose flowers that you have to arrange by yourself. Second, be careful when ordering during times of the year with extremely hot or cold weather conditions. These flowers do not do well when subjected to temperature extremes. If you absolutely have to order them during a hot or cold time of the year, make sure that you choose the fastest shipping option available. The less time they have to spend in the heat or the cold the better. If ordering during a cold time of the year, you may also want to request an insulated box to keep the flowers warm. Try to order from a site that provides a guarantee. Not all sites provide guarantees, but most do. Most sites with guarantees will send you a replacement if your flowers arrive in poor condition as long as you were home to receive them when they were delivered. If you were not home to receive them and they sat at the shipping company for a while, the guarantee will be voided. So another tip is to make sure that you are home to receive your flowers when they are first delivered. The distance between where you live and where your flowers come from is another critical point. Obviously, the closer the farm is to your home, the better. Shorter shipping times result in fresher flowers. So try to order from the closest location possible and choose the fastest delivery method available. As a general rule, the shipping time should be four days at the longest and fewer than four days is significantly better, overnight shipping is, of course, ideal. When ordering plants, before you order, you should make sure that you have the proper growing conditions for them. If not, they won’t last long. The ideal place to raise your plants has bright, indirect sunlight and is humid and warm. The temperature should be between 65 and 85 degrees. If you can’t provide these conditions, you may want to reconsider buying a plant, because outside of these conditions, they are much harder to grow. But if you grow your plant indoors, in the vast majority of cases, you should be able to provide this set of conditions. Here are a few tips to help you extend the vase life of your flowers. The main thing that you need to do to enhance the vase life of your flowers is to keep their water carrying tubes open, so that they can receive all the water that they need. When you first receive your flowers clip half an inch off the bottom of their stems to clear any blockages that may have developed. Then place them into a vase with clean water. If there are any impurities in the water, this can block their water carrying tissue. There are several other things that you can do to help them last longer. Adding a little commercial flower preservative will help reduce bacterial growth. Making sure that the temperature stays between 65 and 75 degrees will also help. Finally, keeping them away from Ethylene gas from ripening fruits, dying plants and car exhaust will also do wonders. Each week you should change the water in your vase. And you should also clip another half an inch of the stems of your flowers. Sure, your flowers will get a little shorter over time, but they will last much longer if you do this. The most important thing that you can do to keep your plant healthy is to water it properly. It needs to receive water regularly, preferably on a daily basis. But you need to make sure that it is potted in a soil that drains rapidly, because if water is allowed to remain next to the roots of your plant, it is likely to get root rot. So water frequently, but make sure that the water drains well. Correct levels of light, humidity and the proper temperature range are very important. These plants like bright, indirect light. They will be sunburned if left in direct sunlight, but they still like to receive a good amount of indirect light. As for humidity, they like it high, between 75 to 100%. And they are best suited for temperatures between 65 to 85 degrees and can only tolerate short amounts of time outside of this range. As for fertilizing, if you are going make any mistakes, it is best to err on the side of feeding them too little. If you give them too little, they will grow slowly, but if you give them too much, they will die. So I think that this is an easy choice to make. The simplest way to fertilize them is to give them a slow release fertilizer every six months. Start by giving them one fourth what is recommended on the label. If they are growing too slowly, you can increase the amount slight. But if you see any signs of fertilizer burn, remove the excess fertilizer and reduce the amount you are feeding them. There are many different anthurium species and cultivars. Many more are being discovered or created each year. This is my guide to the various species and cultivars. 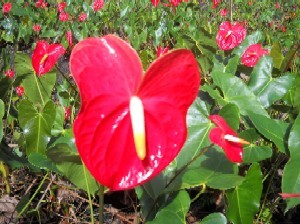 The Waimea is a red anthurium that was created to fill an important need. Red anthuriums are very popular flowers, but the foremost variety of red anthurium, the Ozaki, was decimated by a bacterial blight. The Waimea was created in response to this. It is a blight resistant variety that produces a lot of bright red flowers. The Waimea was created back in 1987 by crossing Paradise Pink with a Marian Seefurth hydrid. 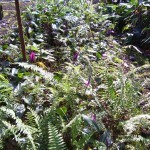 The result was a fast growing plant that produced six flowers a year on average. 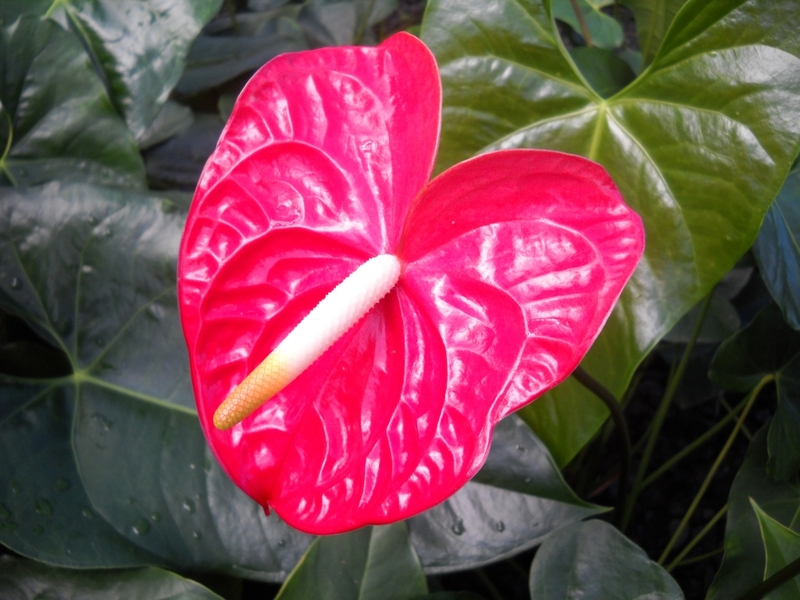 The Waimea anthurium produces medium sized, heart shaped flowers with a red spathe and a spadix that changes from orange-red to red-purple. The flowers that it produces have a vase life of approximately 28 days. The Centennial is a white anthurium that was named for the 100 year anniversary of higher education in the Hawaiian Islands. The Centennial has a lot of symbolic meaning for the University of Hawaii. It produces a white flower with green veins. White and green are the colors of the university. The veins merge together that the base of the flower and this represents the many diverse cultures that have come together at the university. 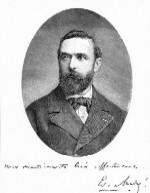 A lot of work went into the breeding of the Centennial. 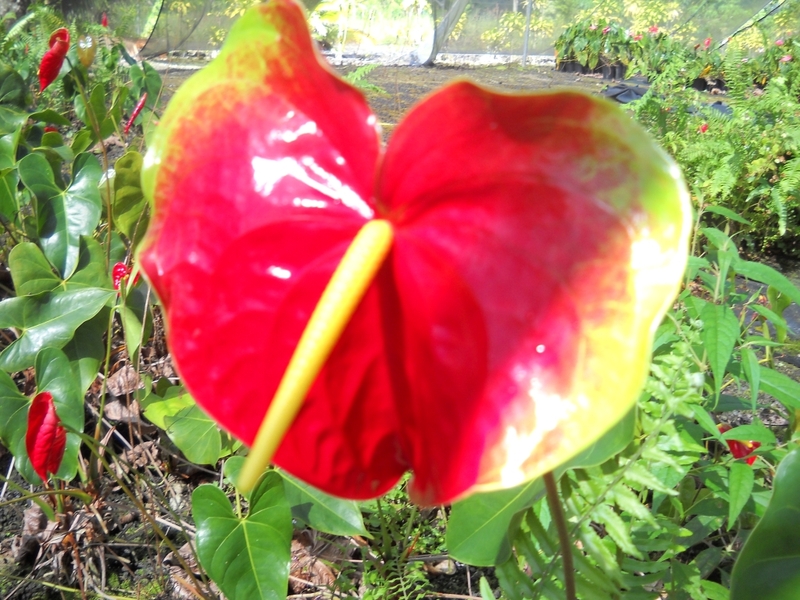 It is a hybrid that was made from four different species of anthurium: A. andraeanum, A. lindenianum, A. amnicola, and A. antioquiense. It produces a white tulip shaped flower with mild obake tendencies. It has a yellow-green spadix that turns white. As a plant it produces dark green leaves and many offshoots. It is great as a cut flower and as a potted plant. 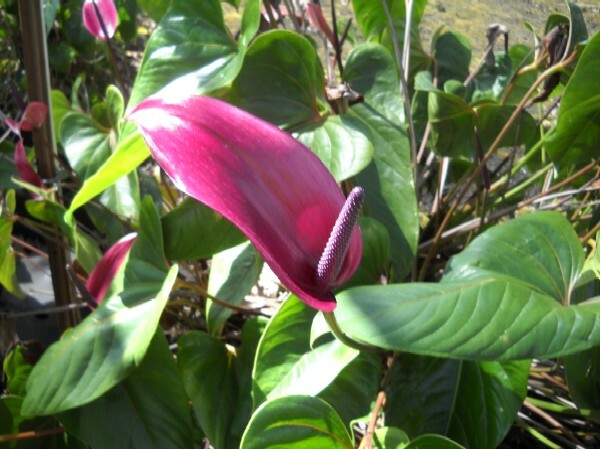 The New Era is a purplish-pink anthurium that received its name by being the first blight resistant anthurium. It is ushering in a new era of blight tolerant anthuriums. It has a slightly elongated spathe and a yellow-green spadix that turns white as it matures. 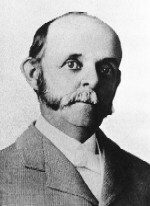 The New Era was a result of crossing three different cultivars. 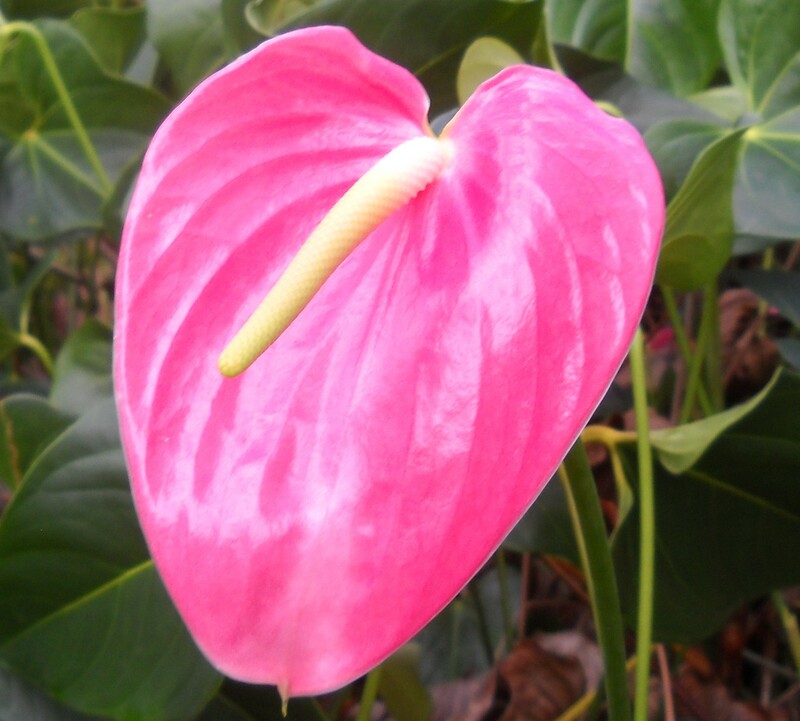 An A494 Anthurium andraeanum was crossed with an A. antioquiense, and the result of this pairing was again crossed with a pink UH507 to produce this lovely flower. It has a long stem and is resistant to both bacterial blight and anthracnose. It was released to cooperating growers back in 2004 and it produces approximately 6 flowers per year. It also has an excellent vase life of 44 days. The Le’ahi is a pink and green obake that is named after the Hawaiian name for Diamond Head, the iconic volcanic cone that is a prominent Oahu landmark. 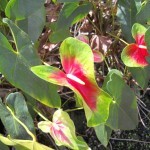 The Le’ahi’s keeps its beautiful coloration year-round and produces almost 8 flowers a year. Unfortunately, it is susceptible to blight, so it is a slightly harder variety to grow. The Le’ahi was created by mixing a child of orange-colored UH931 and a pink-colored Blushing Bride. It is a variety that works well as a potted plant and as a cut flower. Though as a cut flower, some say it has a stem that is a little too short. But its unusually beautiful color pattern, helps to offset its short stems. The Tropic Sunrise is a large orange obake flower that was created back in 1981 by crossing an Anuenue with an Soga Orange. It produces a large flower that is orange in the middle and green at the edges that can grow up to one foot long. 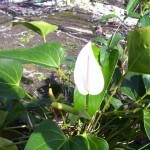 It has a yellow spadix that turns white as it matures. The coloration and size of the Tropic Sunrise are its best attributes. It produces its flowers on strong stems that can be up to 30 inches long. Its flowers can last up to 27 days in a vase and the plant produces roughly 6 flowers per year. Testing has shown that it is a strong plant with a slight susceptibility to anthracnose. The White Lady is another amnicola based hybrid. It produces small white tulip shaped flowers that have a tendency to be a little longer than other tulip shaped species. It was created by crossing four different species, so it has quite a mixed heritage. It has small dark green leaves that are shaped like elongated spades. And it makes an excellent potted plant or cut flower. As a cut flower, White Lady, has a vase life of 25 days. As its flowers age they can develop a pinkish hue, so they look great on potted plants. It is a great plant for growers and hobbyists because it is highly resistant to both anthracnose and blight. It yields approximately 6 flowers a year. The spadix on these flowers can grow to six inches long and their stems grow up to 22 inches. 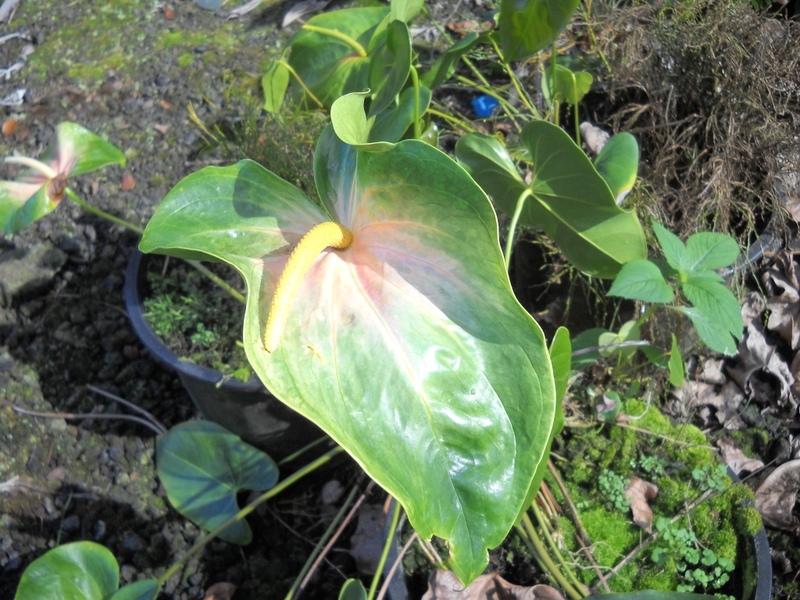 The spadix starts out yellow and changes to green as the flowers mature. 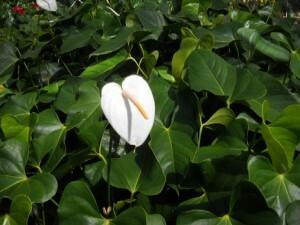 The Hokuloa is a beautiful white anthurium. 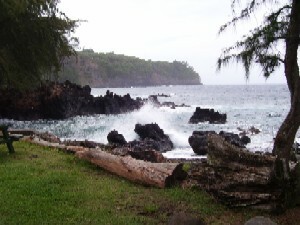 In Hawaiian, the word Hokuloa refers to the planet Venus, which is otherwise known as the morning star. It is a brilliant white flower that is worthy of its name. 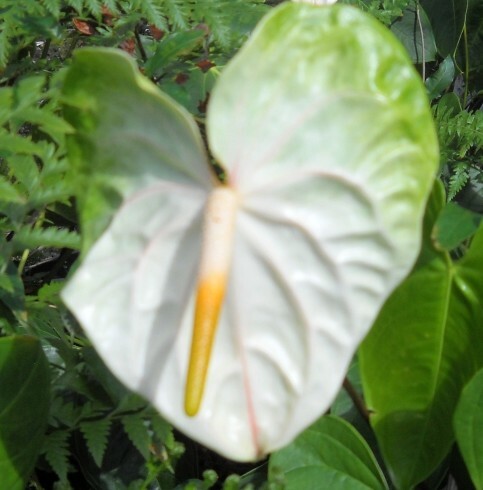 It comes in the standard heart shaped configuration and has a yellow spadix that changes to white as the flower matures. It produces medium five inch wide flowers on stems that are up to 27 inches. It is a hardy plant that is resistant to both blight and anthracnose, so it is relatively easy to grow. 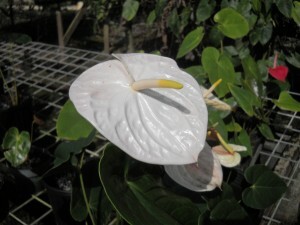 The Hokuloa was created by breeding a Tropic Mist, which produces large cream colored flowers with selection 768-47, which is a hybrid of a Marian Seefurth and an A. antioquiense. This created a plant with glossy white flowers that are resistant to rain damage. It grows well in tissue culture and produces roughly 6 flowers per year. It has an excellent 37 day vase life, so it makes a great cut flower. The Hilo Moon is another white anthurium with a celestial name. 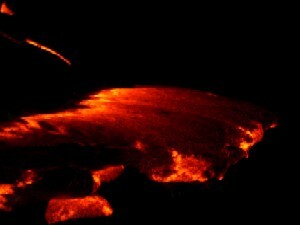 It is closely related to the Hokula and is in fact a sibling of it as they share the same parents. Sometimes, when you cross two plants, you get several child plants that are worth cultivating. Like actual siblings, you can see the resemblance, but they have their own unique qualities. The Hilo Moon looks almost like the Hokuloa, except it is slightly less symmetrical. 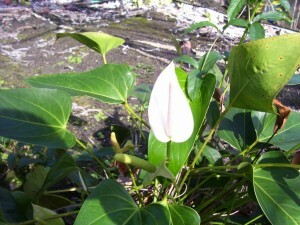 It is the same white color and it has the same yellow spadix that changes to white as the flower matures. It has a higher yield and can produce up to 8 flowers per year, but unfortunately its flowers have a shorter vase life, only 22 days, compared to 37 days. It shares a resistance to blight and anthracnose and it produces more offshoots than its sibling. There are more than eight hundred species of anthurium plants in the world. But what is even more remarkable is that more species are being discovered each year. So the ultimate number of anthurium species may be much higher than eight hundred. Of these eight hundred species of anthurium, only four species are sold commercially. And these four species can be lumped into two categories: foliage or flowers. 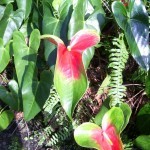 The two species grown for foliage are: Anthurium Crystallinum and Anthurium Faustinomirandae. A. Crystallinum normally produces large two foot long leaves. Its leaves have a smooth surface and dark green color that is punctuated by pale, white veins. While, A. Faustinomirandae has even larger green leaves that are very thick and sturdy. Its leaves can be up to five feet long. 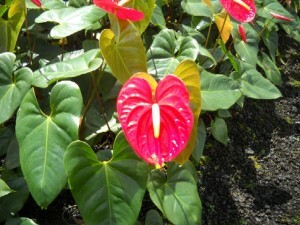 The first species grown for their flowers is Anthurium Scherzerianum. 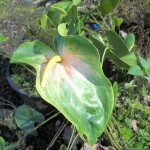 A. Scherzerianum is a plant that is very difficult to kill and hence it is a great choice for a novice anthurium grower. It produces a large number of flowers, but its flowers are not as impressive as the flowers produced by A. Andreanum. Usually its flowers are small, white and have a curly orange nose. 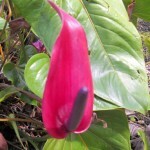 And the second species grown for flowers is Anthurium Andraeanum. Almost all of the flowers that you will see in a flower shop will be members of this species. Back in the 1940’s, Hawaii’s anthurium growers discovered that they could breed anthuriums selectively. This led to explosive growth in the number of varieties of anthurium flowers. 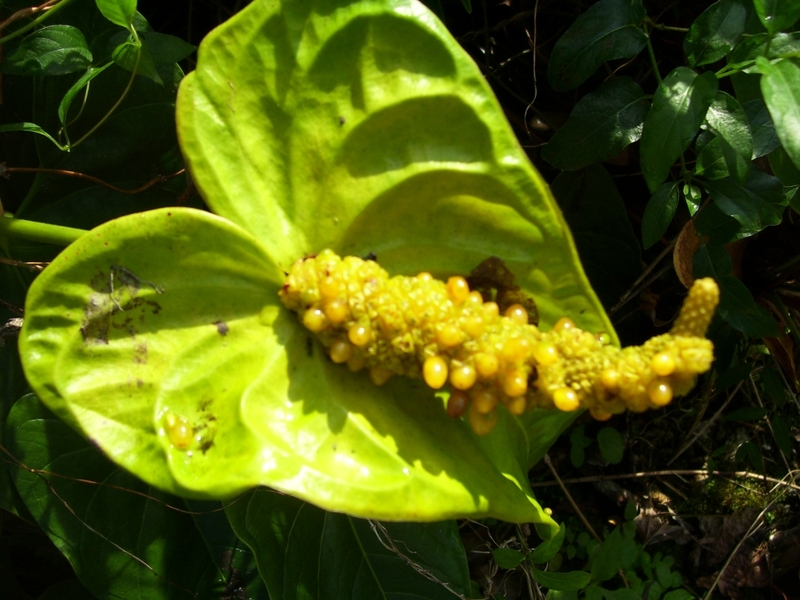 Anthurium Watermaliense gets its name from the town of Watermall, which is in Belgium. Watermall was the town where this plant was first taken after being collected in Columbia. It is also known as the “black anthurium”, though it really isn’t black. It produces flowers that are dark purple, which I suppose can be mistaken for black in the dim light of a jungle. 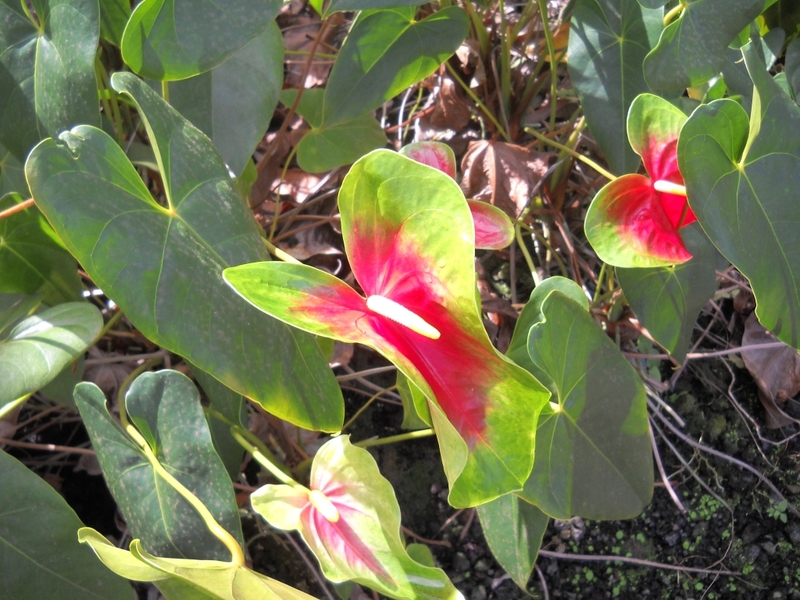 The distinguishing characteristic of this species is a stipe, which other anthuriums do not possess. A stipe is a piece of stem that offsets the spadix from the spathe on these flowers. 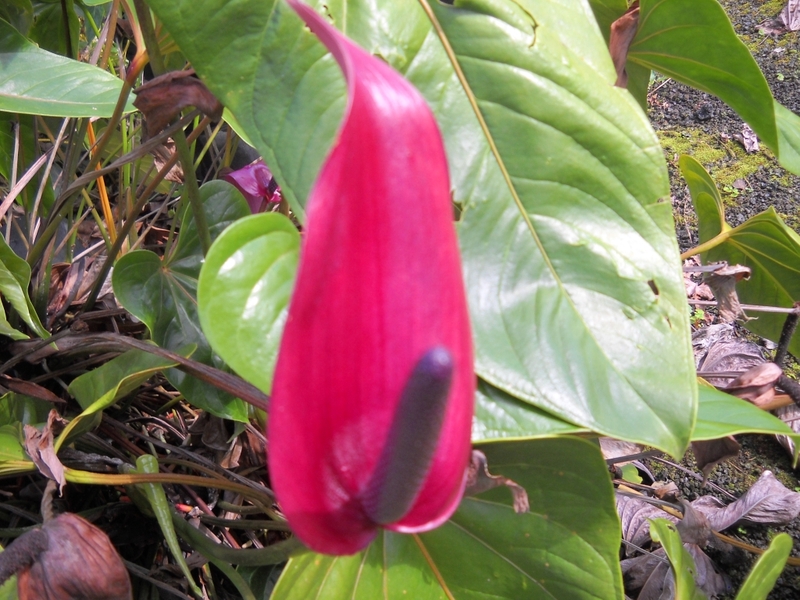 On other anthuriums, the spadix emerges directly from the spathe. Anthurium Plowmanii is named after botanist Timothy Plowman, who has discovered and catalog a large number of plants from the Amazon. It grows in various parts of South America at elevations ranging from sea level to 3000 feet and it tolerates dry conditions much better than many other members of the anthurium family. It is sometimes called Anthurium Plowmanii Ruffles or Anthurium Fruffles, possibly because of the wavy shape of its leaves. It can grow to a decent size and grows in what is sometimes called bird’s nest form; if you use your imagination it kind of looks like a bird’s nest for perhaps a pterodactyl. Anthurium Magnificum is aptly named, it produces large and magnificent leaves. It’s olive green leaves with silver veins can grow up to two feet long and the surface of its leaves has a velvety texture. The main way to identify this species is to look at the petiole; members of this species possess square shaped petioles. In the wild, this species is only found in Columbia, but it is capable of growing in many other parts of the world. And many people grow it because of the beautiful leaves that it produces. It makes a great ornamental plant. 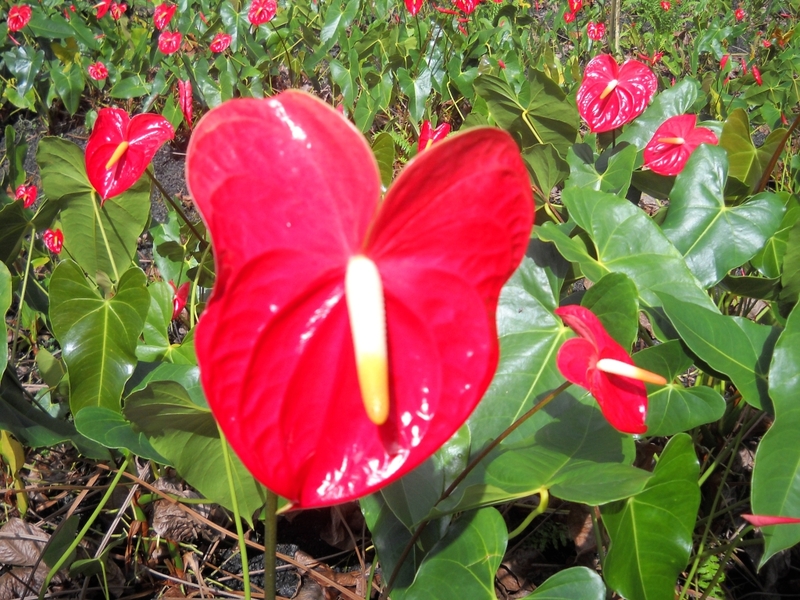 From their humble beginnings in Central and South American rain forests, anthurium plants have come a long way to Hawaii, and they haven’t stopped there. Now they are cultivated commercially in: Holland, Mauritius, Costa Rica and many other parts of the world. And they have a bright future as growers are continuing to breed incredible new varieties. There are three ways to propagate anthurium plants: you can take cuttings; you can grow them from seeds; or you can tissue culture them. Cuttings are easy for anyone to do. Seeds are a little more difficult to do, and tissue culture is generally reserved for scientists in labs or really advanced anthurium cultivators. 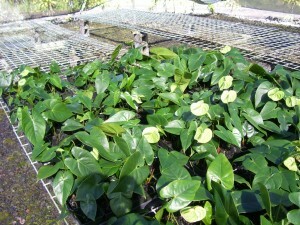 Cuttings are by far the easiest way to propagate your anthurium plant. The best part about taking cuttings is that the plants you produce will look exactly the same as the parent plant. First, you must wait until your plant is big enough to allow a cutting to be taken. Generally you’ll want to see at least four nodes, or sets of leaves and roots, before taking a cutting. Once your plant is big enough, cut it in half, so that each portion has at least two nodes. Leave the base of your plant in its original pot and it will generate new growth. Then put the top cutting into a new pot, water it regularly and it will keep growing, too. Anthurium seeds are another way to propagate your plant. However it is a much more difficult process and takes a lot more patience. The stigma and stamen of these flowers are active at different times, so if you want to produce seeds you will have to store pollen in the freezer or have two flowers at different stages of development. So the first thing you have to do is gather pollen. Use a paint brush to scrape pollen off the stamen and into a vial. Keep this vial in the freezer until you see that the stigmas are ready to be pollinated. Once you have a flower with receptive stigmas dust a little pollen over it. Next you will have to wait for approximately a year for seeds to be produced. Tissue culture is almost exclusive done within the confines of a lab, with the exception of really high end hobbyists and growers. It is best left to commercial growers because it is very expensive and is generally used when one wants to produce thousands of genetically identical plants. So how does an anthurium farmer tissue culture an anthurium plant? First, the anthurium farmer chooses an ideal specimen. This specimen will be replicated thousands of times, so a lot of time and effort is put into choosing the very best specimen available. Once this precious plant is selected, the farmer takes it to a lab. In the lab, a scientist confirms that the specimen is healthy and then chops off a piece of it. Then the scientist will sterilize the sample and put it into a beaker that contains an agar based gel. This beaker also contains special plant hormones that trigger the sample to form a callus, which is an undifferentiated mass of plant cells. The callus is divided into many portions and then allowed to grow once more. This method is replicated multiple times. Once sufficient material is created, the calluses are moved to a growing media which contains plant hormones that cause the undifferentiated cells to transform into roots and shoots. This causes hundreds of plantlets to sprout from every callus. After the plantlets have grown sufficiently, they’re transplanted into brand new flasks to mature further. Once they have reached a size where they can survive in open air, they are removed from the beakers and transferred into pots. 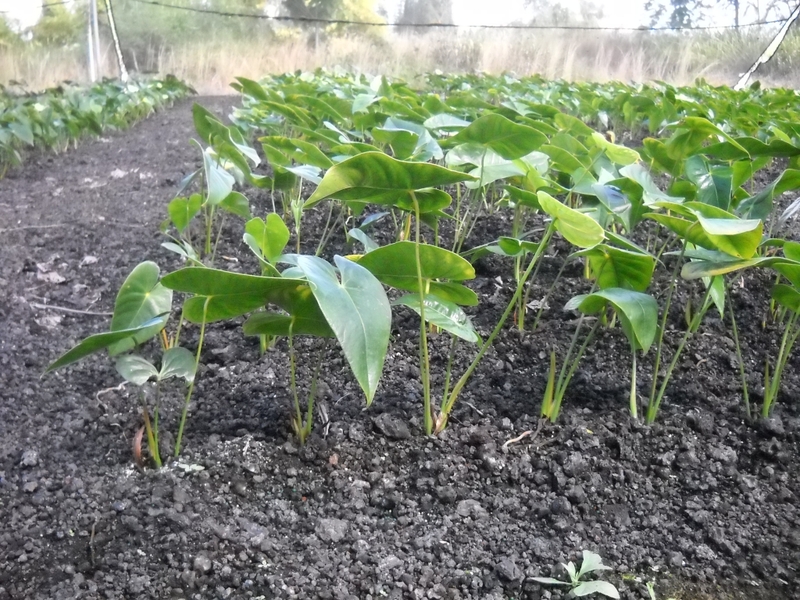 These new plants are allowed to mature in the tightly controlled conditions of a plant nursery for a while. 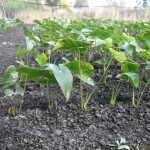 Then, after they have adjusted to growing in open air, they’re returned to the farmer for transplanting into his fields. Our red anthurium flowers are the perfect gift when you want to express a burning passion for that special someone in your life. Red is the color of passion and love, and it is also the color of bravery, strength and courage under fire. We sell large red anthuriums for only $3.25 per stem. We will soon be offering top cuttings of red Princess Lily Anthuriums for $29 per plant. Click Here To See Our Catalog. 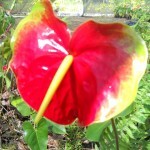 A number of years ago, before plant breeders started working with them, anthuriums were much plainer than they are now. They produced smaller, less colorful flowers. Thanks to the effort of plant breeders, today, we have a plethora of shapes, colors and sizes. One of the original colors produced by the plant breeders is red. Because of this, red anthuriums were one of the first commercial varieties of anthurium flowers. 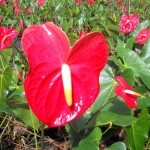 There are a number of varieties of red anthurium plants. 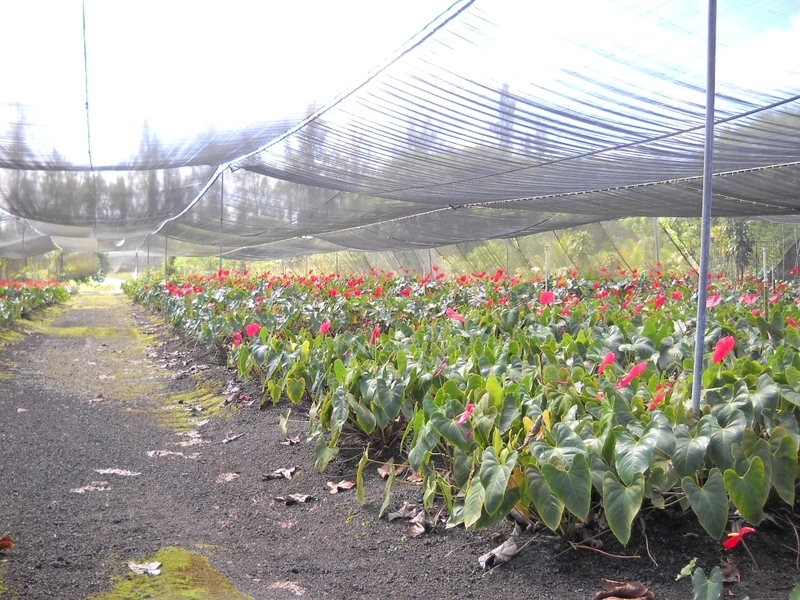 Varieties include: Kozohara, Ozaki, Starlight Red, Princess Lily and New Pahoa Red. 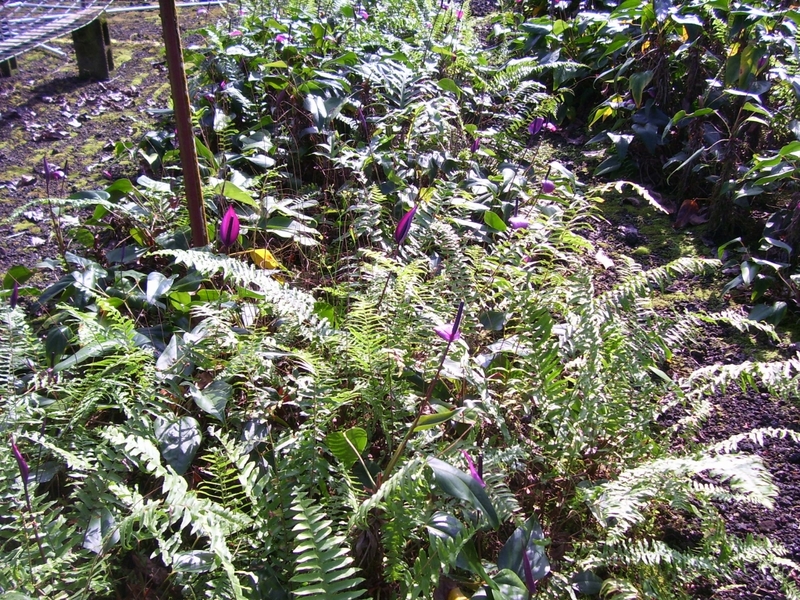 The Kozohara and Ozaki are among the older varieties and the other varieties are slightly newer. The major weakness of the red varieties is that the majority of them are highly susceptible to bacterial blight, though the University of Hawaii and other breeders have been hard at work at creating blight tolerant varieties. Several decades ago the emergence of the bacterial blight nearly wiped out the industry because the majority of the flowers grown were red and hence highly susceptible to the blight. Fortunately, better sanitization practices and the cultivation of blight resistance varieties have allowed red flowers to stage a comeback. Aside from taking precautions against the blight, caring for red varieties is fairly similar to other varieties. And assuming that you are raising only a few potted plants in your home, you probably don’t even have to take precautions against the blight; provided that your plants aren’t located right next to each other and you don’t visit any anthurium farms. Essentially, find a warm area for your red anthuriums. Next, make sure that this area receives bright, but indirect sunlight, so that your plant won’t be burnt by the sun. Then pay close attention to how you water them. Give them a little water everyday and make sure that the excess water is allowed to drain out of their pots. Not allowing water to drain is the second biggest reason for dead plants. Of course the first reason is not remembering to water them at all. So this is really all you need to know about red anthurium plants. They are very easy to care for. 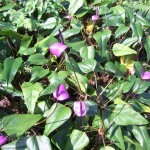 They are much like regular anthurium plants. They are one of the oldest commercial varieties. And they have a susceptibility to blight, but this is not a big deal if you are not raising them in commercial quantities. Pink symbolizes grace and youthfulness. So Pink Anthurium Flowers make an ideal gift for a joyful friend who is the epitome of youthful innocence and gentility. 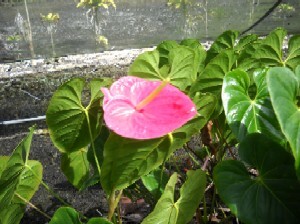 Our flowers grow on a small farm on the island of Hawaii that is only a few miles away from the Kilauea Volcano. Each of these lovely Pink Anthuriums costs only $3.50 per stem. 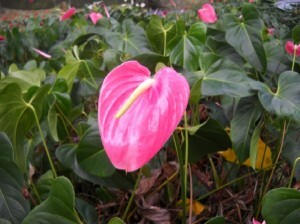 While our Pink Marian Seefurth Anthurium Plants are priced at $29 per top cutting. 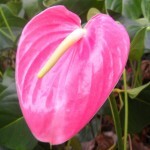 There are many varieties of pink anthurium. They can range in color from light pink to dark pink and they can be solid colored or mixed with other colors like white and green. You can even find then in standard, tulip, butterfly or obake shapes. Some of the amnicola hybrids are even blight resistant, so as you can see there is a great deal of variety in the pink anthurium category. Obake varieties that are pink include Kimi, Anuenue and Le’ahi. Standard pink varieties consist of Marian Seefurth, Shibori and Blush Bride, while Lady Beth is the primary tulip variety. A pure pink obake does not exist, as by definition, obakes consist of two or more colors. The majority of pink obake varieties are colored pink and green. Pink anthurium care is really straight forward. They require a growing environment that is heated between 70 and 80 degrees. Humidity should be as close to 100% as possible. They thrive on bright, but indirect sunlight. Full sunlight will burn their delicate flowers and leaves. When growing them in dry environments, mist them with water twice per day. This will give them the moisture that they require. As long as your plants are in a potting soil that drains rapidly, they should be watered on a daily basis. You must ensure that any excess water is removed immediately. If your potting soil retains moisture you will have to be more judicious about watering, you will need to make sure that the soil dries slightly between waterings or your plant may experience root rot. Prune away leaves that are turning yellow or dying, but make sure you don’t remove too many leaves. Fertilize once per year with a slow release 5-10-5 fertilizer or something close to that ratio. Use about a quarter of what is recommended on the label or less. Under fertilization is preferable to over fertilization. In anthurium arrangements, pinks go well with many of the other pastel colors such as purple or green. They also look great with white colored varieties. The main thing to keep in mind is the relative size of the flowers. Tulips are small and should be arranged with other tulips, while obakes are large and should be arranged with other obakes. And of course standard pinks should be arranged with other medium sized standard varieties. Anthurium flowers come in many different shapes and sizes. I’m sure that you could find hundreds of different kinds of flower variations. 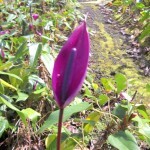 But there are just three main types of anthurium flowers: obake, tulip and standard. These classifications are based on the shape and the color pattern of each flower. Obake means “ghost” in the Japanese language. Since many of the earliest anthurium growers in Hawaii were Japanese, I guess it makes sense that this type of anthurium flower would receive a Japanese name. But what is less clear is why they chose to name these types of flowers “ghost.” Perhaps, it is because these beautiful, large flowers have an ethereal quality. Obake also has a second meaning in Japanese. It can also mean “a thing that changes” or something that is in transition. Perhaps the change from one color to another that is present in all obake flowers meets this definition. 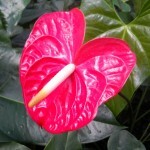 Click Here To See Our Anthurium Flower Catalog. Obake anthuriums are, in my opinion, the most stunning type of anthurium flowers. They produce the largest flowers and they rarely found in a single boring color, but instead are multi-colored. Each flower will often have one color in the center and a different color at their edges. They are shaped like elongated hearts and their spathe is often a little wavy. They are the most expensive variety to purchase, so I guess others feel the same way that I do about them. Tulip anthuriums are shaped like tulips. Hopefully this isn’t a big surprise. They tend to be the smallest variety, often producing flowers that are only two to six inches in size. They come in a range of colors including red, pink, purple, lavender and white. Unlike other types of anthuriums, some varieties of tulip anthuriums produce a pleasant, sweet scent. Unfortunately, their fragrance doesn’t always seem to last when they shipped as a cut flower. 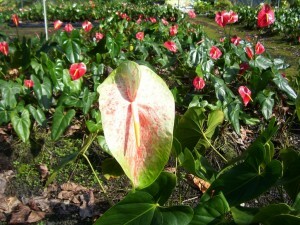 So you may need to find a tulip anthurium plant that is in bloom to experience their pleasing fragrance for yourself. 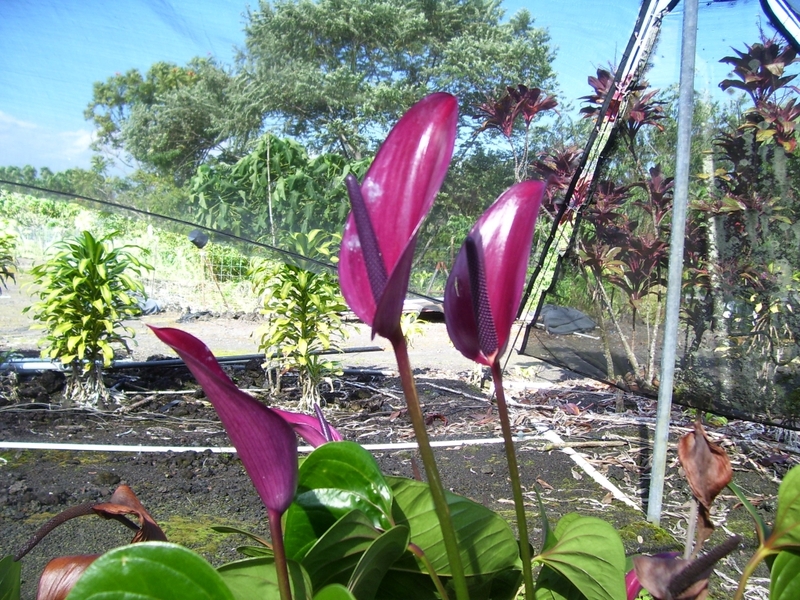 Standard anthuriums are the oldest and most common variety of anthurium. They are what most people think of when the word anthurium is mentioned. They are shaped like perfect Valentine’s Day hearts and the majority come in solid colors, thought a minority come in multi-colored patterns. They typically range in size from three to eight inches and the most famous color is red. Though they can also come in orange, green, pink, various pastels and purple. Multi-colored varieties can have an obake-like color pattern or they can also be speckled. 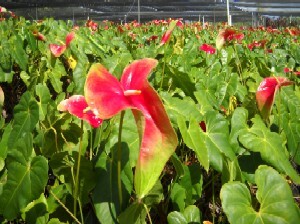 Here are a few pictures of the anthurium flowers that live on our farm. Would you believe that some of these anthurium plants are almost as old as I am? Well it’s true, if they aren’t harmed by injury or disease, anthurium plants can outlive us. We take top cuttings, plant them, let them grow for a few years and take top cuttings again, and this cycle repeats almost endlessly. When ordering anthuriums for the first time, a common mistake is to not know exactly what is being ordered. Often, people will see a picture perfect anthurium bouquet or arrangement on a website and expect that this arrangement is exactly what they are going to be getting. But when it finally arrives and they open the box they are disappointed to find a bunch of loose flowers that they have to arrange on their own. To guard against making this mistake, check with the retailer to find out if they are selling loose flowers or actual arrangements. What you think of as anthurium flowers really aren’t flowers at all, they are actually spathes. A spathe is really just a specialized leaf, or in other words, a bract, which is essentially a cross between a petal and a leaf. The spathe can come in almost all of the colors of the rainbow, from red to violet and it can also come in a variety of shapes, from the standard heart shape to the tulip shape. 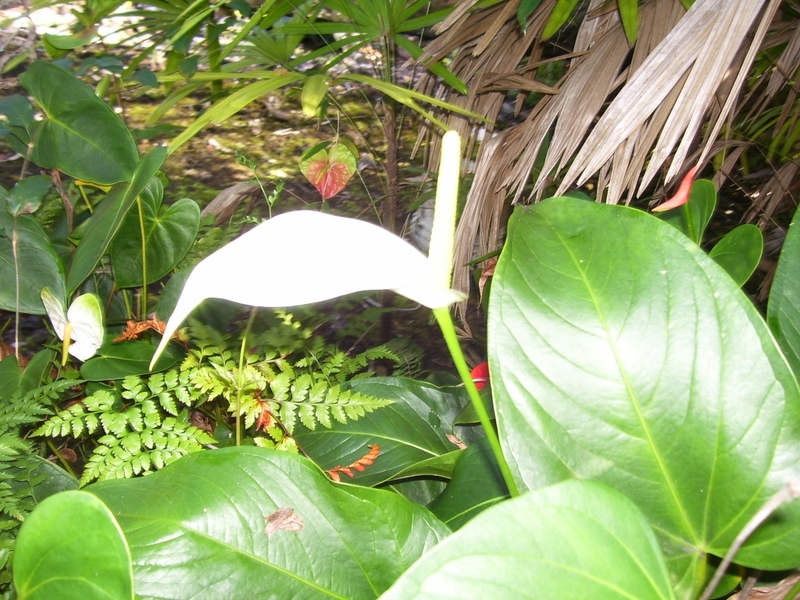 In the center of the spathe, is where the real anthurium flower resides. This is where the spadix, a.k.a. : nose, tail or inflorescence is located. The spadix is the actual anthurium flower; it is where the stamen (male part of the flower) and stigma (female part of the flower) are to be found. The stamen and stigma can only be seen with magnifying glasses and appear as tiny bumps on the spadix. In summary, the anthurium flower consists of the following parts. The spathe, which everyone calls a flower, but which is actually just a glorified leaf; the spadix, which is the actual flower; and the stigma and stamen, which are the female and male parts of the flower that appear as tiny bumps. There are just two major categories of anthuriums that you may find in your local plant store: foliage varieties and flowering varieties. And the vast majority of what you see will there will be flowering varieties. 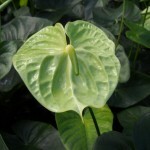 As far as foliage varieties go, the main types are Anthurium Crystallinum and Anthurium Faustinomirandae. A. Crystallinum will typically produce dark green, smooth leaves with highlighted white veins that are up to two feet in size. While, A. Faustinomirandae will often produce monstrous five foot leaves that are stiff as paperboard. But good luck finding these in your garden store, these will take a little effort to procure. In terms of flowering varieties the two main varieties are Anthurium Scherzerianum and Anthurium Andreanum. A. Scherzerianum is a tough plant and it is an excellent choice for your first anthurium plant as it is easy to care for and tough to kill. But it leaves much to be desired in terms of the types of flowers that it produces, which are rather limited. 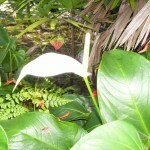 It usually produces small white flowers with a curly orange spadix and it has smaller spade shaped leaves. If you want the widest possible choice in flower shapes, sizes and colors, look to A. Andreanum. It is the species that is responsible for virtually all of the various types of anthurium flowers that are found in flower shops. 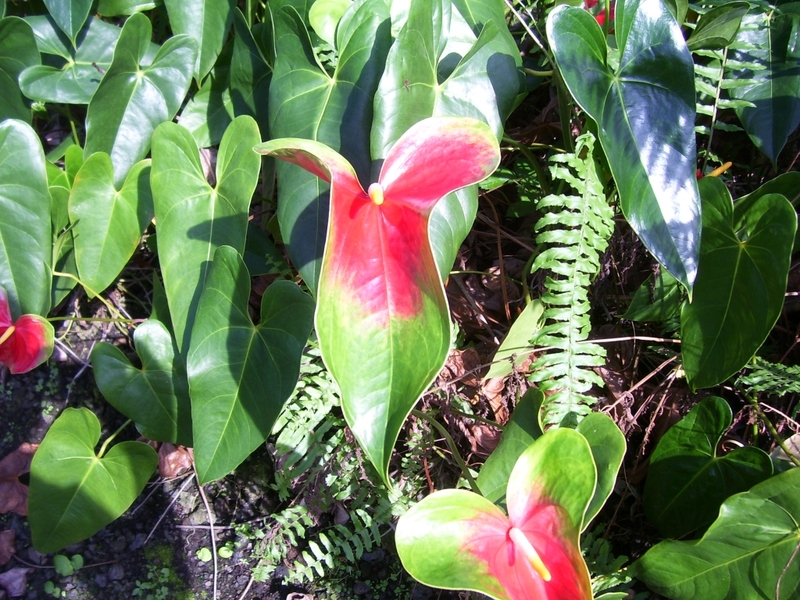 In Hawaii, in the 1940’s, anthurium hobbyists learned how to selectively breed anthuriums. The fruit of their efforts was an explosion of different types of A. Andreanum flowers. They produced the three main flower shapes: standard, obake and tulips. And they also created many of the colors that we see today: red, orange, green, purple, pink, pastels, speckled and much, much more. Anthuriums are strong plants and they are relatively easy to care for. There is really just two things that you need to do. First, you need to water your plant regularly. 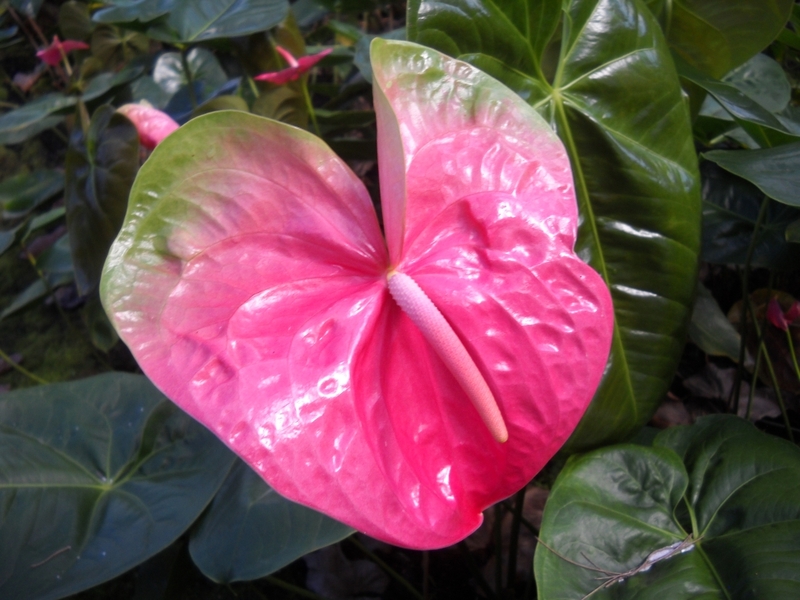 It is critical that you give your anthurium enough water to keep it hydrated and do not give it so much water that it drowns. Ideally, you should water your plant every day, but you need to make sure that its soil drains well. You never want it to be left sitting it water. The water must drain away to allow oxygen to reach its roots. If oxygen does not reach its roots, anaerobic bacteria start to grow and will attack the root system of your plant. Second, you need to fertilize your anthurium. The ideal way to do this is to use a very dilute liquid fertilizer once a week. But this is really too way too much work and the easier solution is to apply a slow release fertilizer every three to six months. This is much easier and produces close to the same results as the liquid fertilizer method. You have to keep in mind that anthuriums come from tropical rain forests, so you’ll want to replicate this environment as closely as possible when you are growing an anthurium plant. To do this you’ll need high humidity, warm temperatures and filtered sunlight. The ideal place to meet these conditions is a window in your bathroom. When you take a hot shower, this will produce a lot of humidity. So the first necessary condition is fulfilled. By keeping your plant in your home you will generally meet the second condition which is a warm, but not excessively hot temperature. Anthuriums love temperatures of 70 to 80 degrees and they will be happy if you keep your home at this temperature. Finally, putting your plant near a window will give it filtered sunlight. Anthuriums like a lot of light, but too much light can cause their leaves to burn. Just put your plant as close to the window as you can, without it burning.